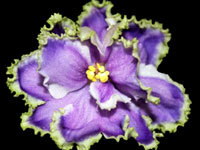 This category includes African violets from Russian and Ukrainian hybridizers. They are becoming popular in the United States. They are listed by their English-translated names, with their Russian names following in parentheses. Note that if you are showing these plants, you must use their official Russian names. NICE! 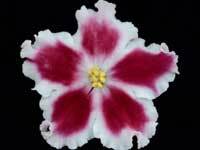 Large, double pink star, with variable blue fantasy, sports a raspberry sparkle band, and a white frilled edge. Medium green, quilted foliage. Standard. 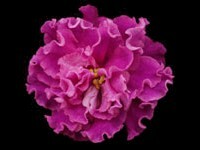 Double, hot pink raspberry large ruffled star/purple-violet fantasy. Dark green foliage, plain. Standard. 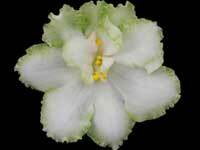 Semidouble blooms of pale green with darker green edging. 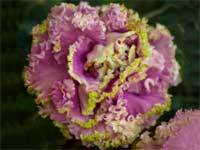 Mounds of flowers cover foliage that is medium green with white variegation around the leaf edges. Standard. Stunning! Large single and semidouble wavy white star, with purple thumbprints splashed with lavender and white puff fantasy markings. Medium green quilted foliage. Standard. Large, semidouble to double red stars. Foliage is light green and plain. Standard. 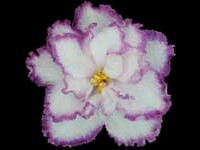 Large white star, with dark pink prtal patches, laced with purple fantasy. Medium green foliage. 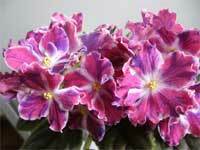 Large, double mauve stars with purple fantasy markings and occaisional reddish tipped petals. Dark green, red backed foliage. Standard. 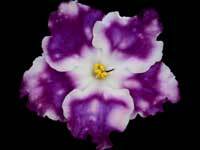 Large, double white stars with plum mottling. Ocasionally, green is on the ruffled edge. Large growing standard foliage is medium green, serrated and quilted. 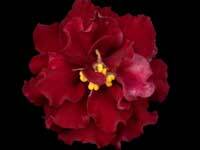 Dark burgundy ruffled star with bright green ruffled edge. 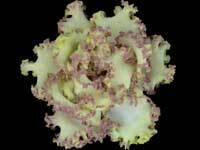 Medium green ruffled foliage. Standard. Vivid! 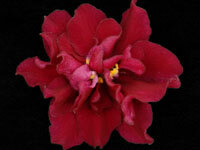 Double, dark red star. Medium green, red backed foliage. Standard. 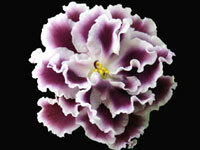 Double white star with variable peach overtones, lime green frilly edge, Dark green wavy foliage. Standard. 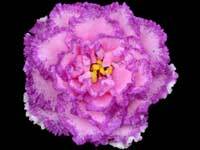 Semidouble to double, raspberry-violet ruffled star with a green edge. Medium green, quilted, serrated. Standard. Huge! 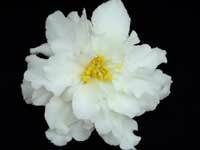 Three inch, double white blooms with a yellow eye and yellow rays. Medium green foliage. Standard. Semidouble gray-green large ruffled star with a dark lavender eye. Variegated dark green and white, quilted and ruffled foliage. Standard. 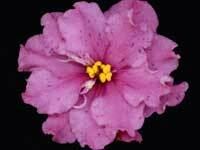 Very large double pink stars, with white in the flower eye and on the flower tips. Very impressive! The standard foliage is dark green with a red reverse. The foliage is pebbled, serrated and quilted. 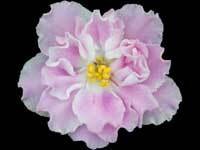 Large, semidouble to double, light pink wavy star, with a thin raspberry edge. Medium green, pointed and quilted foliage. Standard. 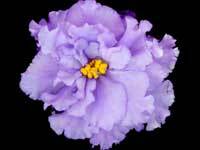 Light purple, semidouble to double stars with dark purple tips. 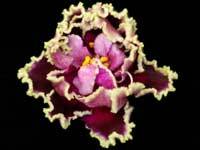 Each petal is outlined with a green, fringed edge. Medium green, serrated and quilted foliage. Standard. A good bloomer! 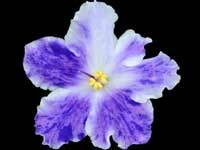 Large and very double, light purple stars, with a darker purple edge. 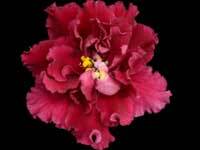 The edge is fringed, which adds to the beauty of the flower. The standard foliage is light green and quilted. Nice! Large semidouble to double red wavy stars. Dark green foliage. 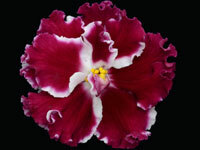 Single to semidouble white star with dark pink patches, blue fantasy streaks and splashes. Medium green foliage, plain. Standard.